Your Finance Formulas: What should you observe when you apply for Title Loans? What should you observe when you apply for Title Loans? The process of submitting an asset or the title of the property to get a loan is termed to be title loan. The option should be accessed only if you do not have any other way of raising funds. The risks involved in the offer of title loans should be observed well before applying for a title loan. In most of the cases, the borrowers use the vehicles to obtain title loans. 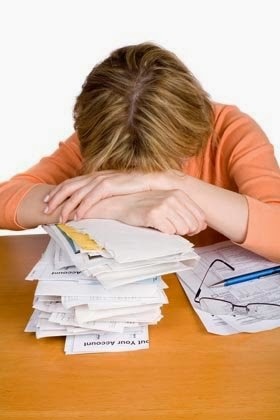 These are short term loans that can be obtained without difficulties if the borrowers are in need of emergency funds. However, it should be remembered that the loans are quite costly and highly risky. The cash needed is borrowed against the value of the vehicle. The loan amount is determined and the borrower agrees to hand over the vehicle if the loan amount is not repaid as agreed. Since the ownership of the vehicle is pledged to get the needed monetary support, the loans for people with poor credit is called title loan. Car title loans are preferred by the borrowers in case of emergency financial requirements. The loan is to be repaid within 30 days and if you are not able to repay the loan within the time frame, you can renew the loan after the specified term and settle the loan at a later date. However, the number of times that you can renew the loan is limited. The interest rates are extremely high and this is the major disadvantage in the offer. The offer is similar to payday loan and you end up pay very high interest for the loan as you do in a payday loan. The rules are specific for the offer due to the high interest rates and there are special rules to control the trouble that could be caused to the consumer by obtaining the offer. Although you submit security for the loan, the interest rates are not lower for car title loans. Failing to repay the loan will result in the loss of the vehicle. Besides the risks involved in the offer, you have to bear the cost of loan origination. You are stressed with the origination fees and higher interest rates and this ultimately worsen your financial situation. The loan can be obtained only if your financial needs cannot wait and if you can settle the loan as specified in the loan agreement. Before applying for a title loan, you should see if you have alternative programs as well. Considering the cost and the risks associated with the offer of title loans, it is worth trying other offers before you consider a title loan. Credit counseling agencies can be approached to get suggestions as to reduce monthly cash outflows. Financial support from your friends and family members can be considered. However, you need to be specific about maintaining the relationship by returning the cash loans no credit check at the earliest. A proper planning of your budget will help you save a significant amount of money and you can use the savings to support your urgent financial requirements. Maintaining a good credit report will help you obtain traditional loans from banks and this is possible only if you refrain from unnecessary expenses and impulsive shopping.